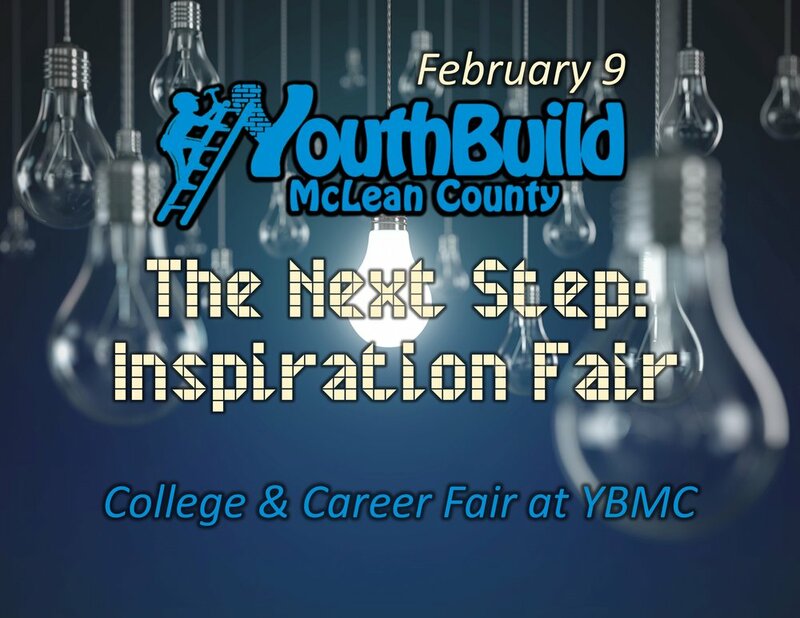 On Friday, February 9, community colleges, military personnel, local unions, and various McLean County businesses will assemble at YouthBuild McLean County for its second annual college & career fair. “The Next Step: Inspiration Fair” offers students an opportunity to learn more about career and higher education opportunities they may be interested in, while providing a wide assortment of path options. Professionals can directly respond to student questions regarding the joys and challenges of their career choices, and provide advice on required training and networking for their industry. This free event is open to the general public, and any business interested in participating is encouraged to contact YBMC by 2/2/18.